This past year I've been asked the same question a few times: if you could have dinner with anyone, dead or alive, who would it be? Without hesitation, my answer is my father-in-law. I would do anything to have him meet The Monster and Smilosaurus and enjoy a raucous dinner where he would surely win the nightly roaring contest. On this day, six years ago, he passed away. We, his family, miss him everyday. 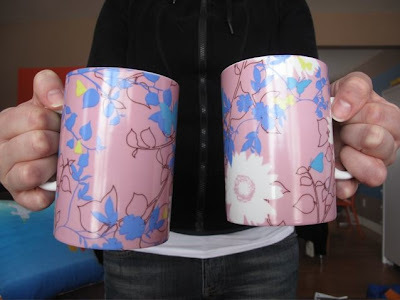 And this morning, I will raise a cup of tea to him. He made anyone feel at home, even if you spilled red wine on his pastel couch and carpet within ten minutes of meeting him. He even had the dad gene that allows a man to have a pre-dinner nap in the midst of kitchen chaos and grandkids climbing on him. He laughed every day and made the rest of us laugh too, even if it was at his taste in sneakers or his appreciation of a good deal. Doug was a man who treasured a good meal and cherished good company. He valued his friends and held his family close. I once smuggled a 10 pound bag of grapefruits on a trip from Brownsville, Texas to Halifax, Nova Scotia. Actually, I'm not sure smuggled is the right word considering that there is no easy way to tuck in grapefruits around your body. I could have gone for the fake pregnancy, but that would have been one lumpy baby. In the end I got through customs without any trouble. The officer probably smelled the citrus on the university student (I also had key limes) and was just relieved it wasn't pot. How could I not bring them back with me? I'd just spent a week with my mom in Texas. She was living and working there courtesy of the 1990s health care cuts in Alberta. I spent Reading Week there, soaking up some sun, food, mom love, and absorbing the mystery of South Texas culture. Seriously, that is an odd place. Full of Winter Texans on golf and shopping trips, Mexicans coming across the border to have American babies, and every manner of poverty and riches on the same street. 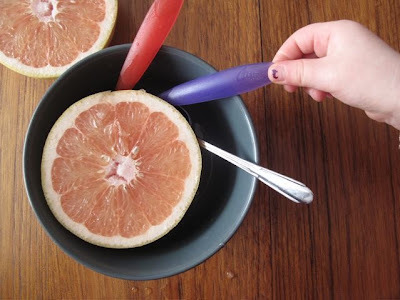 I'd happily eaten grapefruits growing up in cold Canada, a winter staple in our house. But something about buying them from a roadside stand, still warm from the sun ,elevated them to smuggle-worthy status. Sadly, we aren't in Texas this February. But with the quality of organic produce available in some stores, and the morning light streaming through the white dining room curtains I can fool myself into believing that this half circle of sunshine is actually still warm from the Texas sun. Sort of. Besides, the fact that my mom used to live in Texas makes it local, right? How about the direct flight between here and Houston? Oh whatever. It's Canada in the winter and if I want a grapefruit I'm going to eat it. Actually, we usually go through about 3 in the morning because the girls insist on climbing up next to me and sharing the segments as I cut them out of the fruit. I don't mind sharing. And one day I'll take them South to pick the fruit themselves, once my mom moves back. But I'm keeping them away from the crazy people who talk about buying handguns while they tan their feet. We went nut-free for such a long time in this house because The Monster was at high risk for allergies. With the risks behind us we've welcomed the gradual return to a nutty life. I still remember the first peanut butter cookies we made together and their crumbly, sweet taste. Now, without thinking about it we're back to adding toasted hazelnuts to roasted veggies, walnut oil in salad dressings, and eating classic out of hands nuts like cashews and pistachios. A few weeks back we were helping our neighbours plan a kitchen reno. The girls ran around, chasing the cat, banging on the piano, and scoping out some 1970s toys Poppa and Grandma B have lying around. Then it got eerily quiet. If you've got kids, or even been around them for 20 minutes you know that too quiet usually means trouble. A quick search found the two girls huddled, not over a beaten cat or something breakable being used in a creative way, but around a container of pistachios. The Monster easily figured out how to get the meat out the shells and a little pile had already appeared. Smilosaurus was frantically begging her sister to shell more and more for her grabby little hands. Happy that nothing was being destroyed we let them be and tried to figure out just how our neighbours could fit an island in their kitchen. Fast forward a few weeks to me packing snacks for an outing to the zoo. Remembering the girls' love of pistachios I threw some together with a handful of dried cranberries. And when we stopped for a warm-up and treat they promptly picked out all the cranberries and refused to touch the pistachios. Okay, so we need more exposure to establish a pistachio habit, fair enough. Or, so I thought. The other day Hubby is picking up groceries and upon his return he declares that he bought a treat for the girls. As a mom, I kind of cringed, knowing that they'd already had a fair amount of sweets that day. 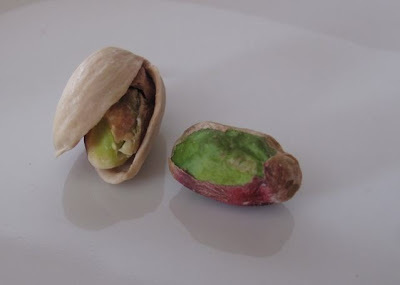 But it wasn't red licorice or fruit gums that he pulled out, it was a container of pistachios, in their shells. And the sheer excitement of the girls' faces as they gathered around the coffee table superceded even the performance of the aerialists at the Olympics. So, in the nut adventures in this household, apparently shells rule. We've never been huge Valentine's Day fans in this house. Well, that's not 100% true. I adored Valentine's Day when I was single and wistfully dreaming of a lover to buy me flowers and spoil me with treats. But when I met my husband and the reality of a relationship and my man's opinion of V-Day hit me I realized that I would be lucky if he even remembered the day. I also realized that I am damn lucky to have him, every day of the year. After a hellish month, however, I'm looking for any small amount of comfort and love. Today that came in the form of a quiet afternoon writing and visiting with a friend while we sipped garam masala hot cocoa and she gave me a reflexology treatment. It was simply so nice to be spoiled. And to enjoy some company with my friend. I'd been waiting to try this hot cocoa until she came to visit. Although she is originally a farm girl with a Metis background, she has surrounded herself with East Indian friends and boyfriends. I knew she would appreciate the spice of this cocoa better than Hubby. I was right. It was rich and warming, with hints of spice and the Indian coast. It doesn't seem like the flavours should go well together, but if you think of Mexican hot chocolate with its chili heat, this isn't far off. But there is something exotic about it and so comforting. Sitting with her this afternoon I felt my spirits lift, old friends have the power to do that. So does chocolate and a foot rub, but not as well as friends can do it. If only I could ask her to move in, or at least to this city. I made this with the Garam Masala mix from Silk Road Spice Merchants, ground in my brand new grinder. Keep in mind that you will want a fine grind with this. 2. 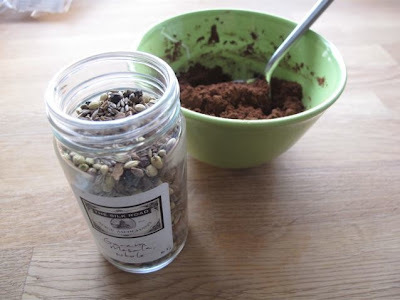 Combine cocoa, brown sugar, and garam masala in a small bowl. Stir in a few tablespoons of milk until you have a runny paste. Whisk cocoa paste into milk. Serve hot. Thanks to Mary Luz Mejia for sending this recipe my way. With a heck of a lot of excitement and as much fanfare as we can get through Twitter, Facebook, and blogs, I am happy to announce the launch of Simple Bites. 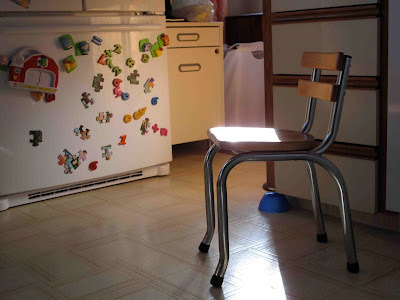 part of the Simple Living Media Network Simple Bites is under the care and inspiration of Aimee from Under the High Chair. And I am proud to be among the regular contributors to this site about Real Food for the Family Table. My company includes Lynn from Cookie Baker Lynn, Cheri from Kitchen Simplicity, Elizabeth at Guilty Kitchen, Shaina from Food For My Family, and Shannon at Nourishing Days. We come from across the world, in both urban and rural settings, and with children of all ages - from babes to grandbabes. As contributors to Simple Bites I hope we can all share our daily successes, and struggles, with putting good food on the table for our families. You aren't going to find a lot of boxes in our kitchens and if you look close we probably all have a fair amount of dirt under our fingernails. But our families are nourished, inspired by, and even entertained by our efforts in the kitchen, garden, and farm. We hope you will be as well. Make sure to check out Simple Bites today, there is a fantastic giveaway! I can't make any promises on your chances of winning, but if I can give our editor a nudge then I only ask for a bit of vanilla in return! There are moments in life when the notion of perspective isn't just something you get, it is something that comes right up and smacks you on the face like that scene in Airplane. There I was whining and moaning about my crap knees, the next thing I know EMS is at the house because Smilosaurus choked on some granola and it just won't come out. This was the granola that I asked my mother-in-law, Susan, make for me while I sat with ice on my knees. The granola that needed to be photographed for inclusion in the Blog Aid: Haiti cookbook. And two days later my little one was happily eating handfuls of the Chai-Spice Granola with Pistachios when a little bit went down the wrong way. She wasn't in grave danger, but she was definitely having a bit of trouble. But Hubby was at his own physio appointment (with the car seats) and the nanny and I were left with the girls and no car to go anywhere. Not that I could drive. Thankfully a good coughing fit just as the ambulance drove up and she was back to her normal roles -Death Wish and Howler Monkey. Later that afternoon I submitted my recipes for inclusion in the stunning cookbook she was putting together. One of my mentors and friends, Julie Van Rosendaal sent out an email three weeks back. She was motivated to take action in response to the earthquake in Haiti. So she asked some fellow writers and bloggers to contribute to a cookbook project. She led the charge on the newest version of the community cookbook. Blog Aid: Haiti is a collection of recipes from 27 writers around the interwebs. The recipes range from my own Chai-Spiced Granola with Pistachios (only available in the book) to the ultimate Gluten Free Chocolate Chip Cookie, from Blueberry Galette to Bulgogi, and from Vietnamese Coffee Ice Cream to Concord Grape Sorbet. 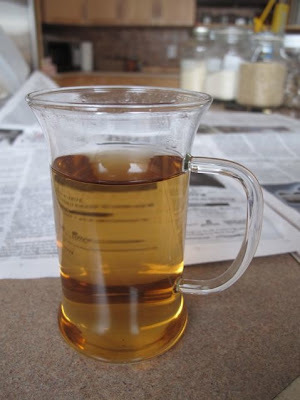 All Recipes, photographs, design, and editing were freely given. The artwork gracing the cover is by the lovely artist Beth Snyder. And the publishing houses, West Canadian and Blurb.com are matching the proceeds realized. So that triples your donation when you purchase a book. Buy before February 12 in Canada and all donations will also be matched by the federal government. So in addition to a very leveraged donation you will also get a rather stunning cookbook. All proceeds will go directly to The Red Cross and Doctors Without Borders to help with relief efforts in Haiti. The last few weeks we've used our Canadian medical system quite a bit and I am extremely thankful for the care we get and the low/no cost of it all. Doing a project like Blog Aid:Haiti just highlights how damn lucky we are here, and how important it is to support those that don't have that sort of access. That sound? That's perspective slapping me across the face. Back to the book. 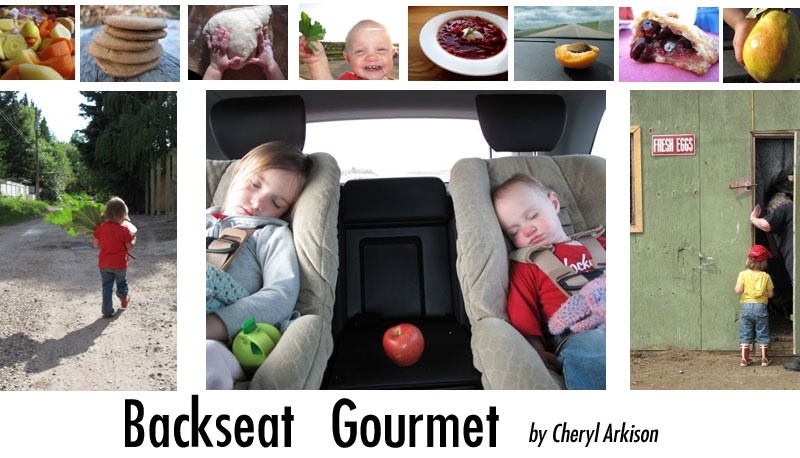 Did I mention that each recipe has a photograph? And that contributions are coming from folks like The Gluten Free Girl and Chef, Seven Spoons, Tartelette, Under the High Chair, andChristie's Corner? Seriously, stunning is an understatement. The book is available for US $25 in softcover and US$50 in hardcover. You can buy it here, or click on the button there in the sidebar. It is available on a print on demand system, so you should get it about 8 days after ordering. For more information on the book, the project, and all the contributors, visit the official Blog Aid website. 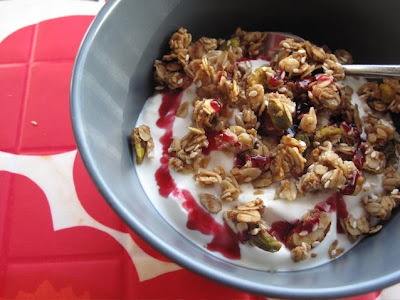 And from now on, we're sticking to granola in yoghurt, perhaps with a bit of pomegranate syrup drizzled on top.